As expected, Battlefield 5 is getting its own battle royale mode. Firestorm gets a release date later this month and EA has revealed specifics about its super-sized map. Not to be outdone by its contemporaries, Battlefield 5 will be getting its own battle royale mode, dubbed Firestorm, and it comes with an all-new map. Today, EA took the opportunity to give Firestorm an official release date of March 25, while offering the first concrete details of its map, Halvøy. Battlefield 5 originally launched in November of 2018 following a short delay to work on issues that arose during its multiple alpha and beta sessions. While the base game arrived in good shape, many fans were disappointed that the premiere of Battlefield’s take on the battle royale genre, Firestorm, was absent at launch. After several months in development in conjunction with the team at Criterion, DICE is getting ready to push out Firestorm to the community later this month. 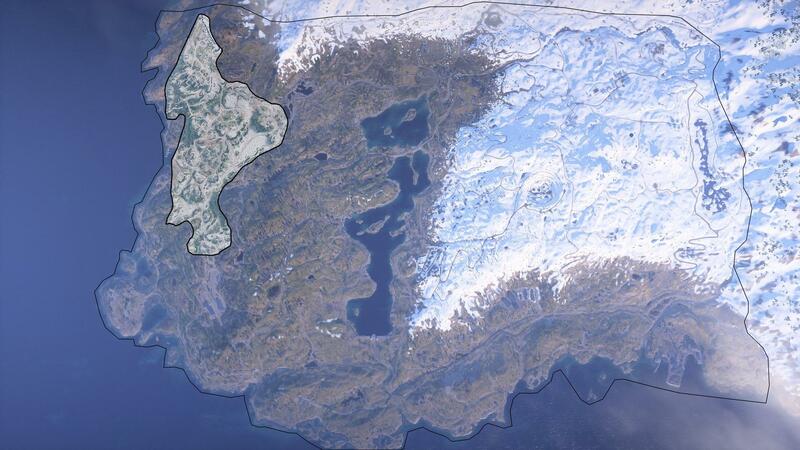 Earlier today on Twitter, the official Battlefield account posted the first official details for Halvøy, making sure to tout its large size. It will be the largest map ever released in a franchise that is known for its large maps. In an official blog post, the development teams laid out details of what players can expect from Firestorm. The mode will make use of 64 players divided into 16 squads of four players. Like most other battle royale games, players will drop out of the sky onto the map and then battle each other while the available play area shrinks over time. Firestorm adds a few twists to the mix, including the integration of Battlefield 5’s vehicles, objectives, and weapons. The madness begins on March 25 when Firestorm is unleashed for owners of Battlefield 5. Time will tell if the mode can achieve the popularity of Call of Duty Blackout or other dedicated battle royale games like Fortnite and Apex Legends. They keep saying that exact same thing with each entry to the series "biggest map ever"
I am a bit critical that this new map will be the biggest one ever, some of the old 1942/BF2/2142 maps were way to big to really navigate by foot. Which is what I would expect with a BR map. El Alamein, we knew you intimately via plane/jeep.